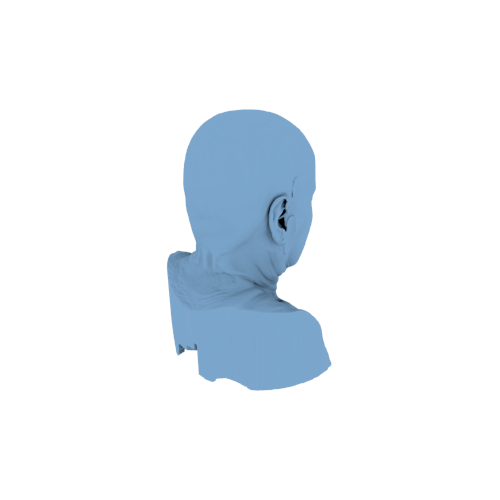 This head and neck STL file was converted from a CT Scan DICOM study using democratiz3D, a free online which converts NRRD files into 3D printable STL files. Converting bone and muscle from CT scan to STL are also possible. A medical 3D printing tutorial describing how to make 3D printable muscle and skin STL files is available on embodi3D.com. 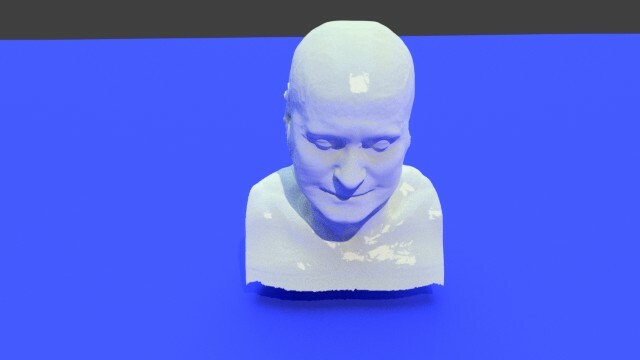 Please provide a link back to the original embodi3d.com head stl skin file. The STL file provided here on the NIH 3D Print Exchange is part of a larger medical 3d printing collection available for free download at embodi3d.com. The license type is as defined through Creative Commons is Attribution – NonCommercial – NoDerivs.